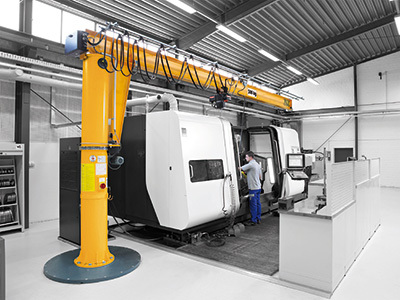 Wall mounted and pillar mounted jib cranes are an especially suitable solution for different workstations. Our range includes overbraced and underbraced models. Safe working loads from 125 kg up to 2000 kg are standard. 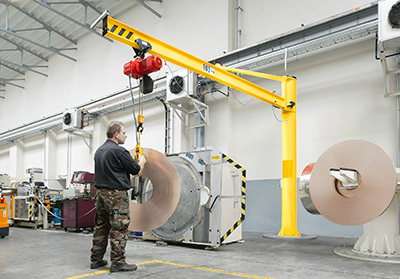 Bigger loads are also possible; with higher capacity cranes all movements are motorised and inverter controlled. 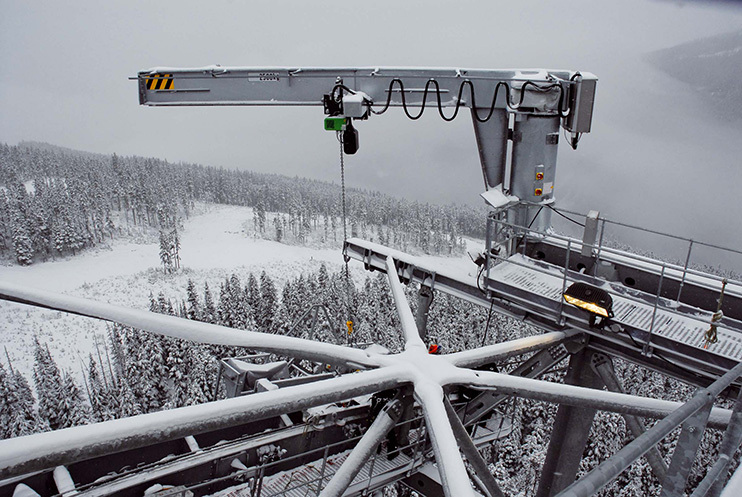 Our jib cranes are usually equipped with an SWF electric chain hoist. Special Jib arms for tools and manipulators are also included in our manufacturing programme. In addition to our own Python jib crane, developed specifically for the offshore industry and manufactured by ourselves, we also distribute the JIBster jib crane from SWF Krantechnic. These are from 250kg up to 10 tonne. All units come with a 12-month parts and labour warranty. No ‘Return to Base’ warranty here!